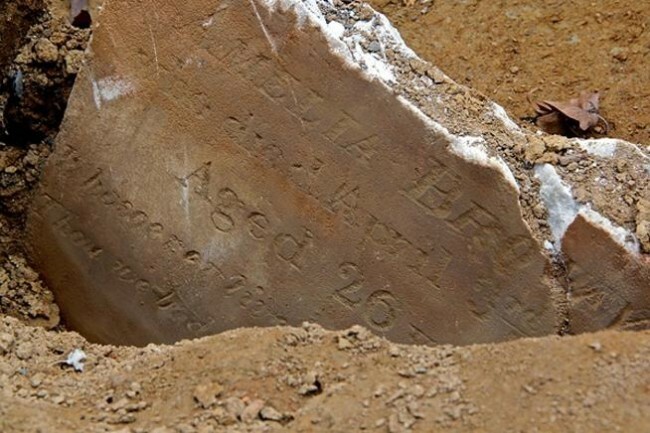 Ten-year-old Mary Ann Henry died this date, March 16th, in 1847 from a brain disease and was buried at Bethel Burying Ground. She was the adopted daughter of Joseph Henry; spouse’s name unknown. The Henry family ran a food stand at a local market according to the 1847 African American Census.What they peddled is unknown, however, it is possible that they sold pies and/or cakes. The Henry family lived at 10 Raspberry Alley near the intersection of 9th and Walnut Streets in center city Philadelphia. They lived in one room for which they paid $5 a week, probably one week take home salary for Mr. Henry. They also had an older woman living with them, presumably the mother of one of the Henrys. According to 1847 Census, there were 17 African American families living on small Raspberry Alley accounting for 86 individuals. The occupations of these citizens included a dentist, school teacher, dressmaker, laborer, and laundress. In 1897 the name of Raspberry Alley was changed to Hutchinson Street. The red arrow indicates the approximate location of the Henry family residence.